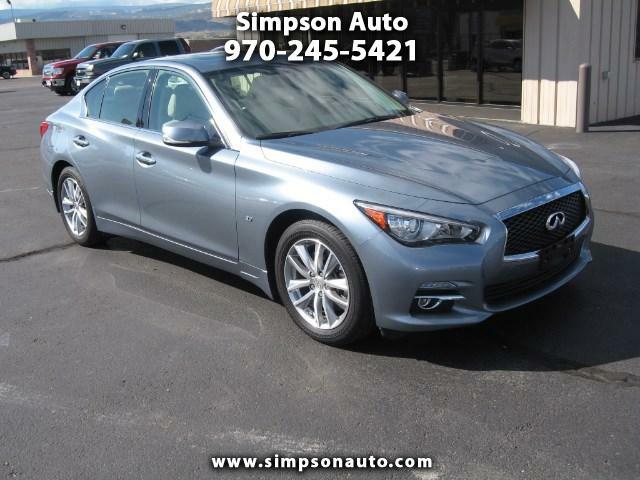 2015 Infiniti Q50 AWD 3.7L V-6, Premium package, Navigation system, Bluetooth, Back-up camera, one owner Colorado car with just 24k miles. Intelligent Key system. Beautiful condition. Hagane Blue exterior, Stone interior color. Bose audio with 14 speakers and subwoofer, power moonroof, heated power fronts seats with 8 way adjusters, heated steering wheel. Comes with remaining factory warranty.